The painful expenses associated with failed devices are avoidable by an upfront investment in reliable analysis of the materials and devices. These upfront costs, ranging in the thousands of dollars, could avert spending millions or billions, if a product is recalled. 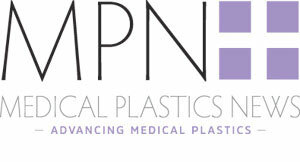 The highly regulated medical plastics industry demands scientific support to ensure materials and finished products will function as expected and are safe. However, maintaining a variety of analytical instrumentation on site is typically cost prohibitive and not a wise business decision. It isn’t as simple as acquiring the right analytical instrumentation, there must also be strong expertise to properly use the instrumentation and produce reliable data. Therefore, the need to partner with an independent testing lab, also known as a third-party testing lab, is necessary and business-critical. Independent testing labs can supplement the work of any medical plastics firm and serve as a force multiplier of a processer’s own staff. It isn’t hard to find a plethora of independent testing labs with a quick Google search. What is more challenging is determining which lab has the infrastructure, internal processes and value propositions that will meet your needs. Since the role of the independent lab is mission-critical, it is necessary to carefully evaluate a testing lab prior to initiating analysis. There are three key areas to consider when evaluating an independent testing lab. You wouldn’t trust your health and well being to a physician that didn’t pass their medical boards—why would you trust high-consequence laboratory testing to a company that lacks proper accreditation? If you’re developing a product that will have end use within the medical industry you need assurance that the results supporting your product are reliable. Verifying a testing lab has up-to-date and relevant accreditations, certifications, and registrations is a great starting point. These items are an initial indicator of a lab’s commitment to quality practices but dive deeper into their quality system as part of your evaluation. A quality system at an independent testing lab isn’t simply producing “high quality results”. It involves emphasis on sample control, data integrity, document control, trackability, and traceability. As a first step, an independent testing lab can be asked to fill out a paper audit, to ensure the basics are in place. An in-person audit will be much more telling and would be a great next step, if the paper audit warrants proceeding with the business relationship. As part of a testing lab’s quality infrastructure there should be documented procedures in place for when unexpected results are obtained. While applicable to anyone within the medical plastics industry it is especially pertinent for companies that conduct regular lot release testing in which there are clearly established specifications. Testing labs with a robust quality system will have procedures in place for situations in which test results do not meet client expectations or when they are outside the predetermined specification. These out of specification (OOS) investigations are a critical review of how the testing was conducted to rule out human, instrumentation, or documentation error. Documentation of lab activities, equipment calibrations, work instructions, training records, raw data, and calculations are some of the items that should be reviewed as part of an OOS. If a lab cannot clearly and confidently talk through OOS processes then it warrants looking elsewhere for analytical support. Testing medical devices and raw materials used to manufacture medical devices is not a one-and-done activity. Even after a product has been approved, is on the market, and in-use with human patients there is still the need to proactively ensure safety and proper performance. Partner with a lab that has the capacity and capability to provide regular lot-release testing to preemptively catch any issues that might arise with a product lot or lot of raw material. This is particularly important for bioabsorbable materials used within medical devices. Certain properties, such as molecular weight, have a direct impact on how the device will perform in the patient’s body. Conducting regular analysis to confirm devices are being produced within the correct range of molecular weight values is protects the financial interest of the company and most importantly the well-being of patients. Not all testing labs have the capacity to handle this type of testing on a regular basis, nor do they have the systems in place to regularly accommodate prompt turnaround times on such samples. This speaks to the need to carefully vet the testing lab well on the front end, to ensure the relationship can be long lasting and meet a variety of needs. It is also valuable if the same lab develops a method and then carries out the subsequent testing. They will be familiar with the ins and outs of the method and more efficiently execute the analysis. It also eliminates concerns over instrumentation equivalency that would be present if two different labs were used for method development and later testing. Utilising the same lab for method development and analysis also helps clearly define trends that may be occurring with the material and resulting data. Continuing the partnership throughout the entire lifecycle of the product is the best practice. Finding one lab that can be there from the start protects the financial interests of the company and the safety and success of the product. Another aspect of evaluating the long term values is to carefully consider the costs. Sometimes the price tag associated with a proposed testing plan causes sticker shock. Work with the testing lab to understand the reason for the cost, rather than being shut down by the price. There is always someone out there who will do it cheaper, but can you afford the cost of conducting testing in a way that casts doubts about reliability? The painful expenses associated with failed devices are avoidable by an upfront investment in reliable analysis of the materials and devices. These upfront costs, ranging in the thousands of dollars, could avert spending millions or billions, if a product is recalled. More importantly, it would prevent putting a patient’s life or well being in harm’s way. It may sound trite, but consider if you want to be able to quickly reach a warm-body on the other side of the phone as a moment’s notice. Also assess the lead time on how long it takes to receive an estimate for projects, standard turnaround time, and expedited options. It is hard to predict when analytical services will be needed, especially when failure analysis or contamination analysis is required, so available staff is a must. You need a partner that will respond to your needs whether the testing required is for research and development purposes or is a rapid response to a product failure. It’s also not enough to have the right testing instrumentation or a really smart group of scientists. Those two things must be combined to provide the solutions required by high-demand and high-risk organizations. If the technical staff can’t provide ideas and collaborate are you really finding a partner or just a vendor? Also spend time assessing if the technical staff will be within reach or hidden behind a layer of administrative staff, in effect making them inaccessible. This is problematic in almost all scenarios, even if the client is highly technical. When the technical representatives of a company are hard to get in direct contact with it hinders productivity of projects and can result in the “telephone effect” of confusing and confounding results. Make sure there are direct communication lines with the technical team, and ideally a project manager, that has a strong technical background both academically and within industry. When evaluating a potential business relationship with a testing lab consider if the testing lab takes the time to talk with you and your team on the front end, to make sure your analytical needs and the context of your needs are fully understood. For example, should a method be validated in advance? A lab slow to respond to potential business or quick to provide a testing plan without a thorough evaluation are both a cause for concern and a red flag worth heeding. If they are someone you cringe at having to work with and don’t meet your expectations, a long-term relationship isn’t likely. Choose a lab with people that care about your problem and answer your questions in a thorough and prompt manner. Evaluating the quality infrastructure, determining the long-term value, and ensuring the partnership will meet your unique needs are three areas to carefully evaluate in advance of analytical testing. For anyone with a role in the medical plastics industry, the need for analytical support is too dire to act upon without doing diligence as to the available options. Choosing the right testing lab saves time, money, and ensures the best possible outcome for the patients that ultimately use the medical plastics and associated devices.